He died at the London Clinic on Monday, surrounded by family, a statement said. "Jon passes from Darkness to Light," it added. Lord was influenced by classical, blues and jazz but played his Hammond organ with a rock attitude and helped Deep Purple become pioneers of progressive and heavy rock. Tributes have been paid by musicians including one-time Deep Purple bandmate Joe Satriani, Iron Maiden and Anthrax. 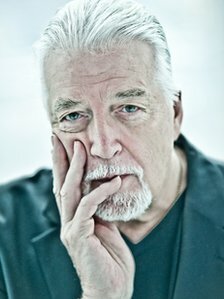 Ex-Rage Against the Machine star Tom Morello wrote on Twitter: "RIP the great Jon Lord, Deep Purple's cornerstone/keyboardist. So many great great songs and that incredible SOUND of his! Thankyou." Former Yes keyboard player Rick Wakeman was a friend and said he was "a great fan". "We were going to write and record an album before he become ill," he said. "His contribution to music and to classic rock was immeasurable and I will miss him terribly." Born in Leicester, Lord learned classical piano at an early age before being seduced by watching early rock 'n' roll star Jerry Lee Lewis and jazz organist Jimmy Smith. He could have chosen a career as an actor after receiving a drama school scholarship, but started playing in pub bands including short-lived outfits with future Rolling Stones star Ronnie Wood and his brother Art. He also worked as a session musician and played piano on The Kinks' hit You Really Got Me. After meeting guitarist Ritchie Blackmore through another project, the first incarnation of Deep Purple was born. 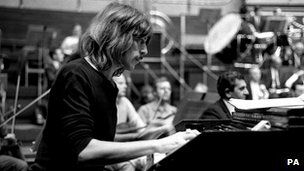 Lord's classical influence surfaced when Lord composed Concerto for Group and Orchestra, which the band performed with the Royal Philharmonic Orchestra at the Royal Albert Hall in 1969. But the group refined their heavy rock sound and found mass success at the start of the 1970s with albums including Deep Purple in Rock and Machine Head. In their classic years, the band also included Blackmore, singer Ian Gillan, drummer Ian Paice and bassist Roger Glover. Lord continued to compose classical works alongside the group's output and, when they split in 1976, he joined other groups Whitesnake and Paice, Ashton and Lord. Deep Purple reformed in 1984 and resumed at the height of their commercial prowess, playing to tens of thousands of fans around the world. They sold a total of 150 million albums and Lord remained an ever-present amid numerous line-up changes until he left in 2002. 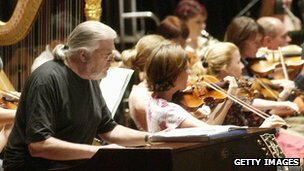 Still composing, he had signed to a classical music label and performed a concert to mark the 30th anniversary of Concerto for Group and Orchestra. "Thirty years later the piece came back and changed my life again... It gave me the courage to step outside and carve a career for myself outside the band," he told an interviewer. He broke the news of his cancer diagnosis on his website last year, telling fans he would continue to write music as part of his therapy.